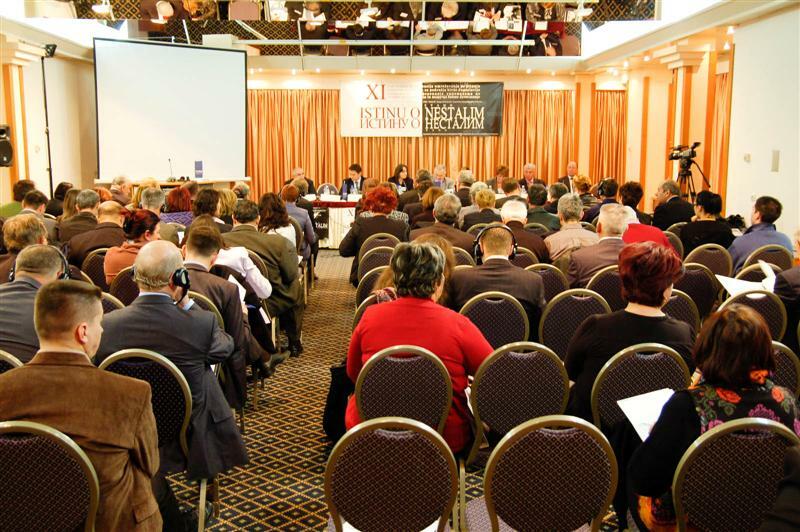 The International Commission on Missing Persons (ICMP) hosted a conference in Belgrade, Republic of Serbia from 28th to 30th November, where more than a hundred representatives of associations of families of missing persons, relevant government institutions from the region, as well as parliamentarians and human rights organisations met together for three days to discuss issues pertinent to determining the fate of missing persons from the armed conflicts of the 1990’s in South Eastern Europe. A mutual determination to find resolution to the long-standing problem of people missing from the conflicts of the 1990s in the former Yugoslavia saw family associations, key representatives of regional governments, parliamentarians, diplomats and human rights organizations united at the three-day 11th annual ‘Regional Networking Conference on the Missing Persons Issues’ being held by the International Commission on Missing Persons (ICMP) in Belgrade, Republic of Serbia from 28th to 30th November. The German Government continues its vital support to the work of the International Commission on Missing Persons with an important contribution this year of 600,000 Euros. This donation will support ICMP’s DNA-assisted identification program, which has already helped in accurately identifying almost 12,000 persons missing from the armed conflicts of the 1990’s in Bosnia and Herzegovina.